Today marks 50 years since Boeing delivered its last B-52 Stratofortress to the U.S. Air Force. H-model bomber 61-040 was assigned to Minot Air Force Base, N.D., where it remains in active service. Boeing built 744 B-52s, in eight different models, from 1952 to 1962. The Air Force fleet today comprises 76 H-models – two test aircraft at Edwards Air Force Base, Calif., and 74 operational aircraft that are assigned to Minot and to Barksdale Air Force Base, La. All the H-models were built in Wichita. 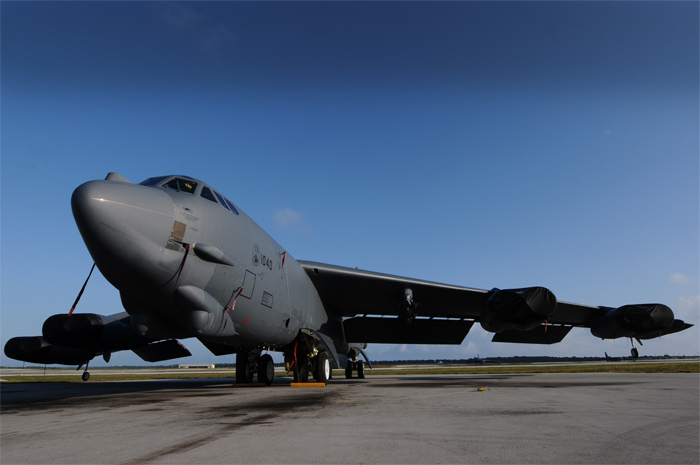 The Boeing B-52 has been the backbone of the United States’ manned strategic bomber force for nearly 60 years. Modern engineering analyses show the B-52’s expected life span extending beyond 2040. 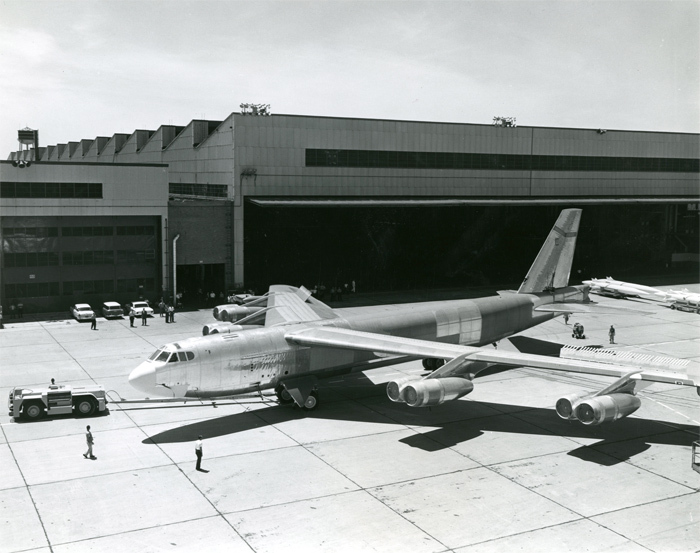 Photo – B-52 Stratofortress 61-040 outside the Boeing assembly line in Wichita in 1962. Photo – B-52 Stratofortress 61-040 parked on the flight line at Andersen Air Force Base in Guam on May 4 2012. The aircraft has logged more than 21,500 flight hours.